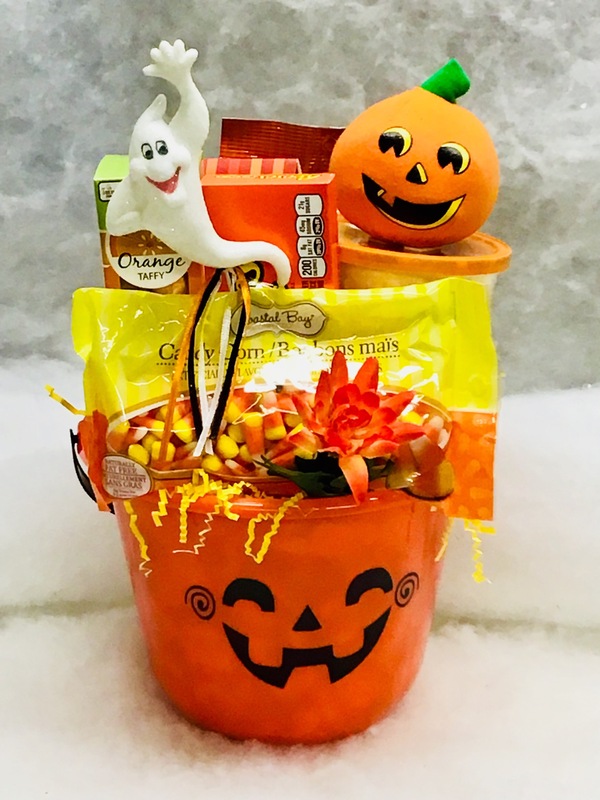 Halloween bucket with handle is a great Halloween gift for any age. Filled with cotton candy, candy corn, box of taffy, peanuts (may be subsituted if allergic) Reese’s Pieces and a box of cheese straws. 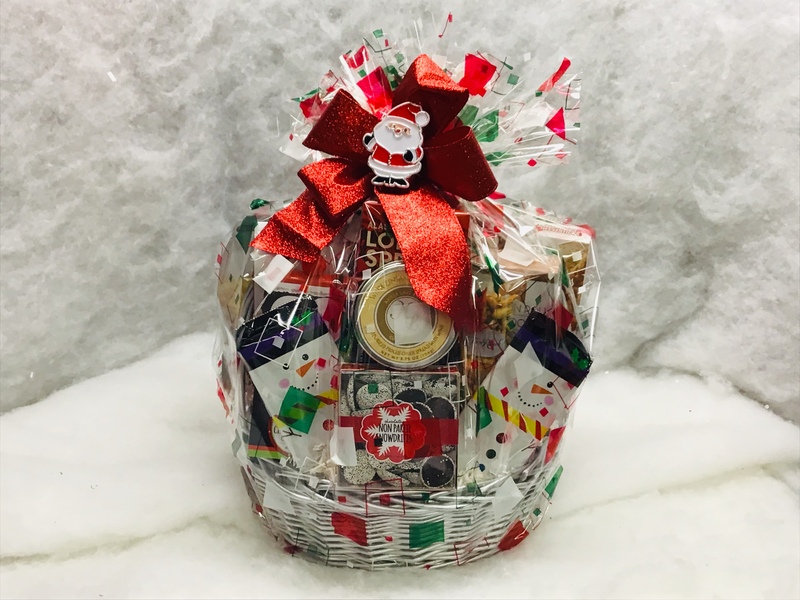 Be it for Thanksgiving, Chanukah or Christmas this basket fits the bill. We start with a box of cinnamon sticks, garlic oyster crackers, caramel corn, parmesan cheese sticks, English Toffee, white chocolate pretzels, wedding cookies, large box of Truffles, ranch dill pretzels, four flavors of fudge, cheese, crackers, chocolate stars, chocolate coffee beans, chocolate chip cookies, shortbread cookies, Holiday chocolate bar, chocolate pralines and a box of mini cupcakes. Too much or not enough, we will work within your budget. MAY ALL YOUR MAIL BE GOOD NEWS! Personalized ceramic envelope holds all your mail for you. Give us the persons’ name and address for the front with a date (birthday, holiday, new home move-in or anything else you can think of!) and what you would like written on the back. Could be your name and address or any salutation, perhaps, may all your mail be good news! Comes gift boxed. 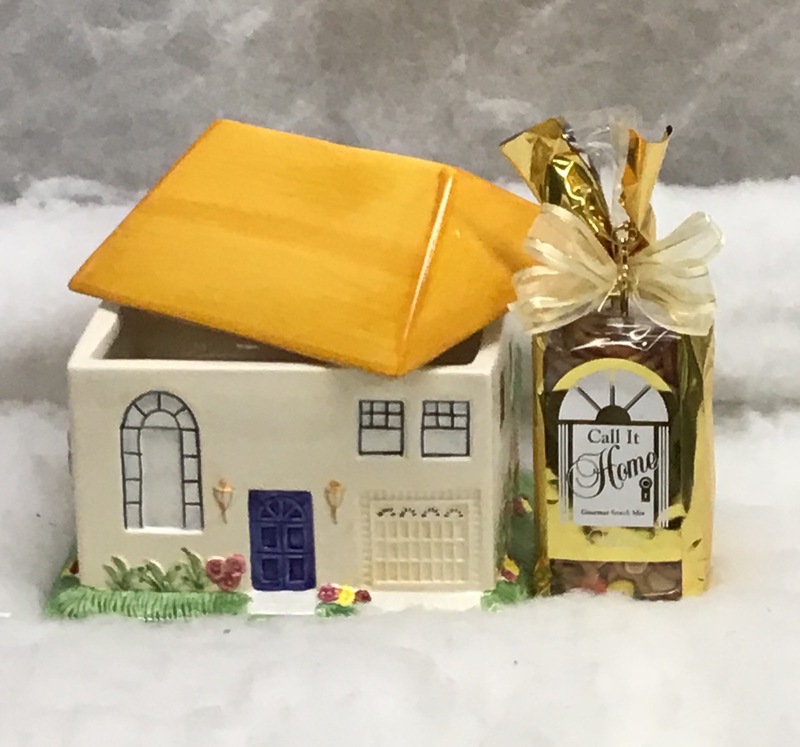 Free personalization with homeowner's name and street address on front, inside lid can be who it is from, date and practically anything else you would like written. Snack mix sold separately. Free gift wrapping. 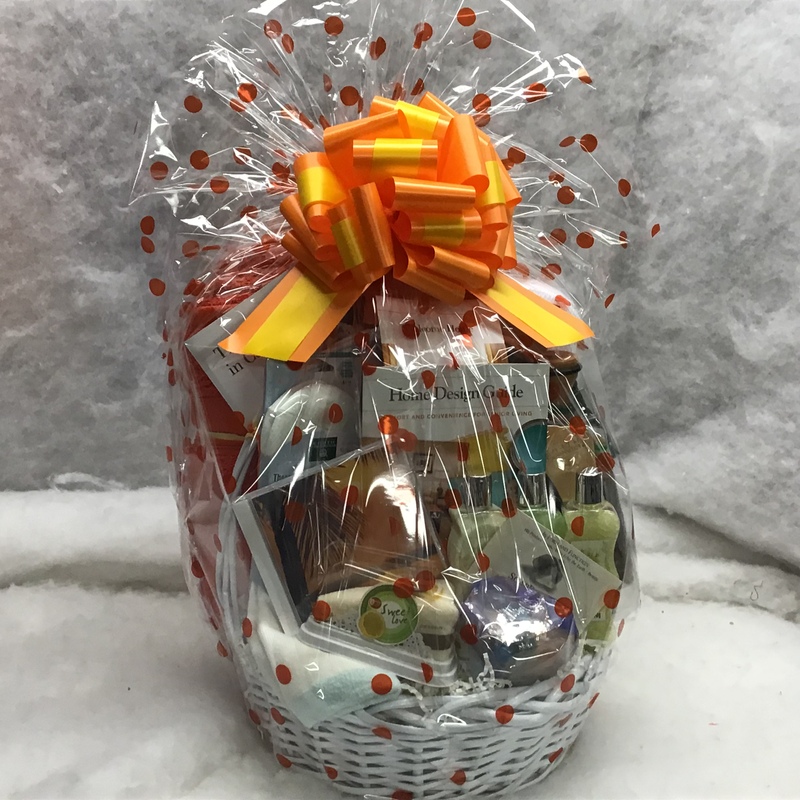 This is an ahh basket for women who just want to relax! 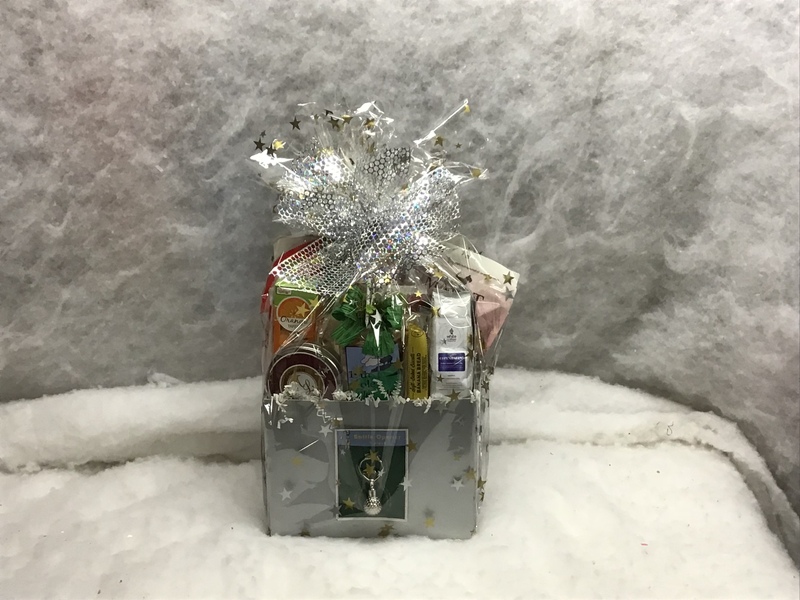 Products include “sole food” for the feet, cake slice shape washcloth, bath pillow, bath salts, body lotion, rock soap, relaxing C.D., towel, comfort wrap for neck and thermal socks for those cold winter days. AAH! 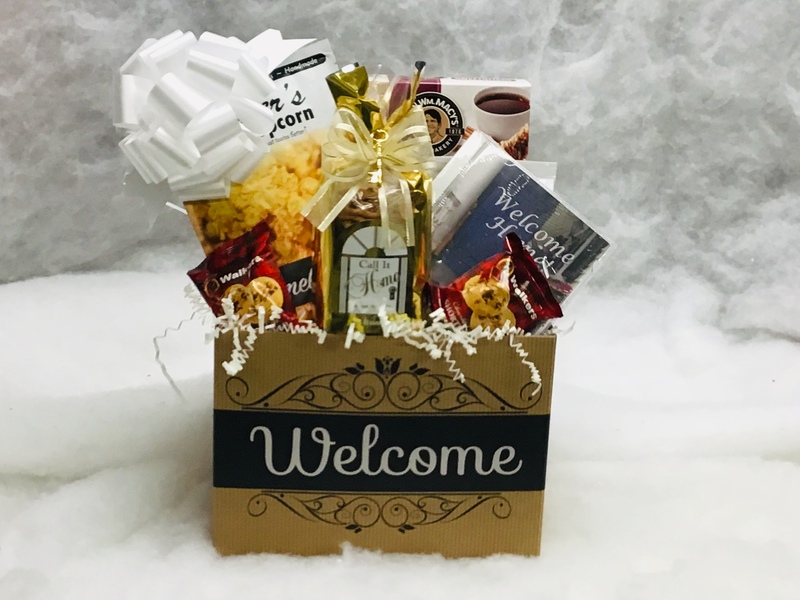 Filled to the brim with treats starting with golf snack mix, golf key chain, popcorn, cheese crisps, assorted dried fruits, flavored coffee, biscotti, cookies, flavored taffy, pecans, merlot cheese spread and crackers. 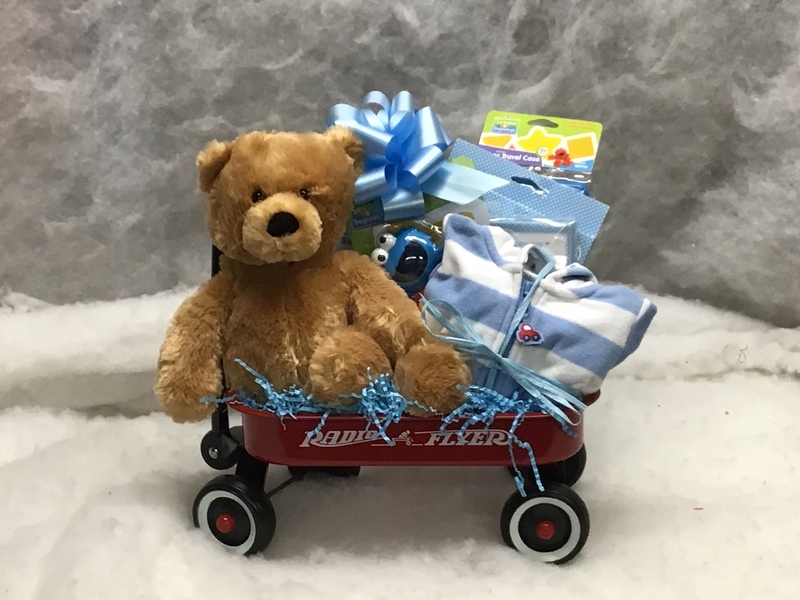 Little red wagon includes a stuffed teddy bear (or other stuffed animal), outfit, first year milestone stickers, hand print canvas, baby wipes holder, and a box of disposal diaper bags. 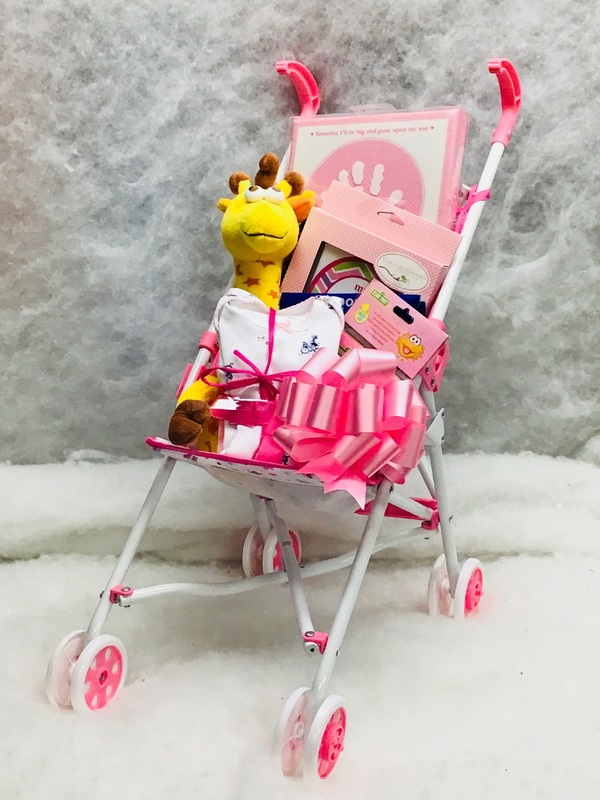 Adorable doll stroller brings with it a stuffed animal, two piece outfit, bath time book, milestone stickers, canvas hand print and disposable placemats. Know someone coming to Chicago? 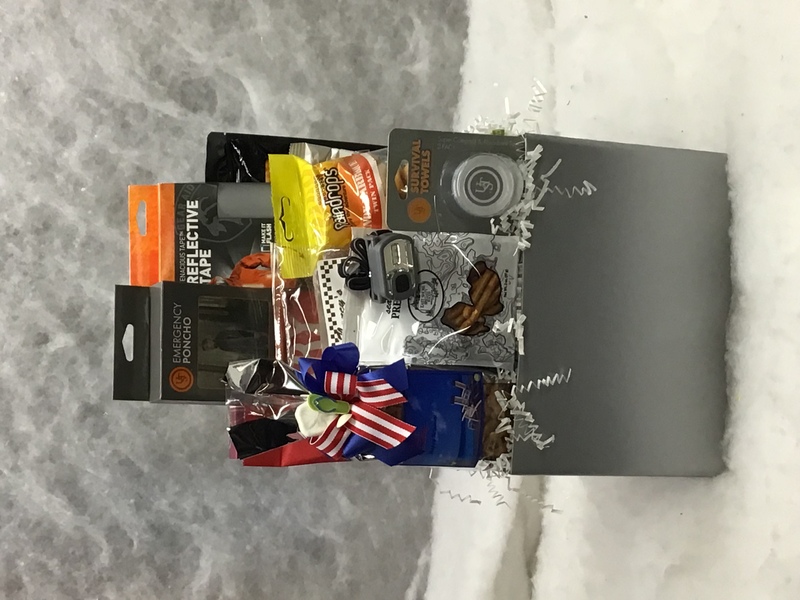 What a great gift basket for them to receive. 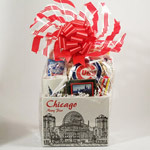 This basket contains Chicago Cubs peanuts in the shell, bottled water, box of Chicago Skyline mint candies, Chicago mug, chips and gum. 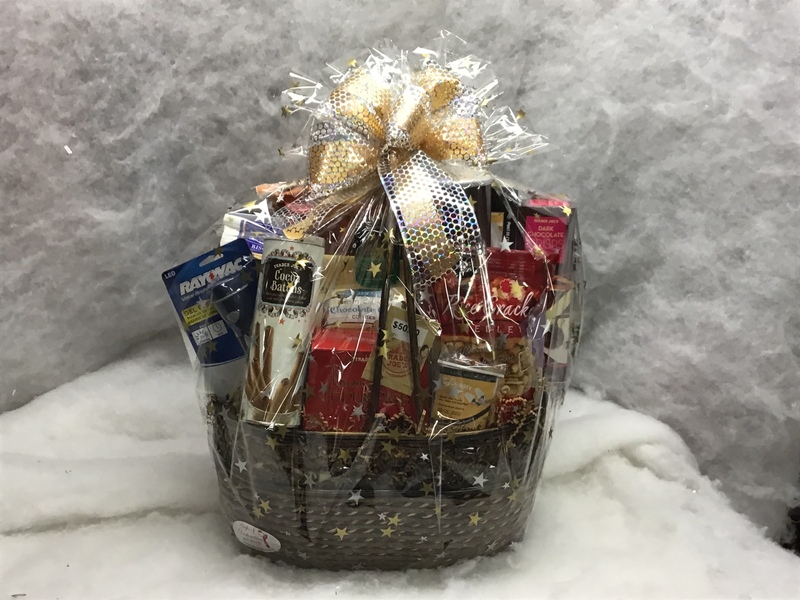 Most of these products were made in Chicago making this a special Chicago basket. 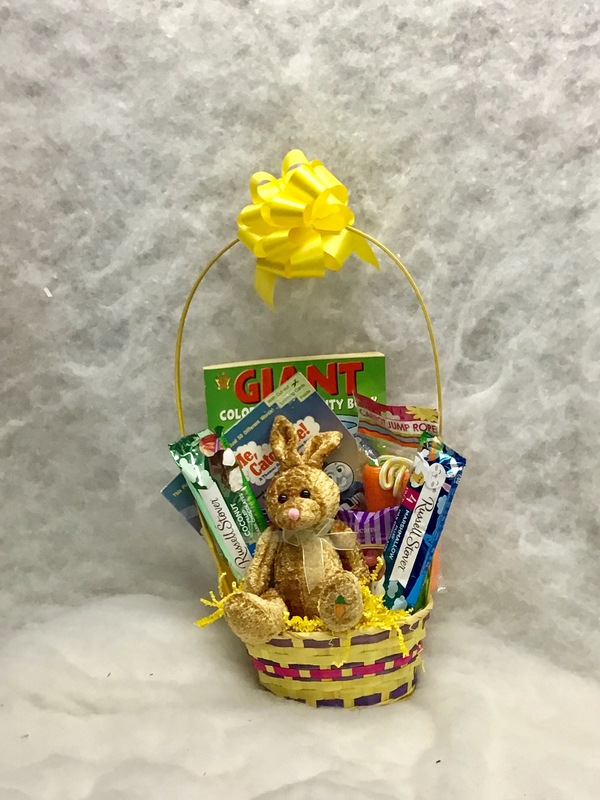 For a fun time at home, a party gift or even a get well gift, this is a great basket. 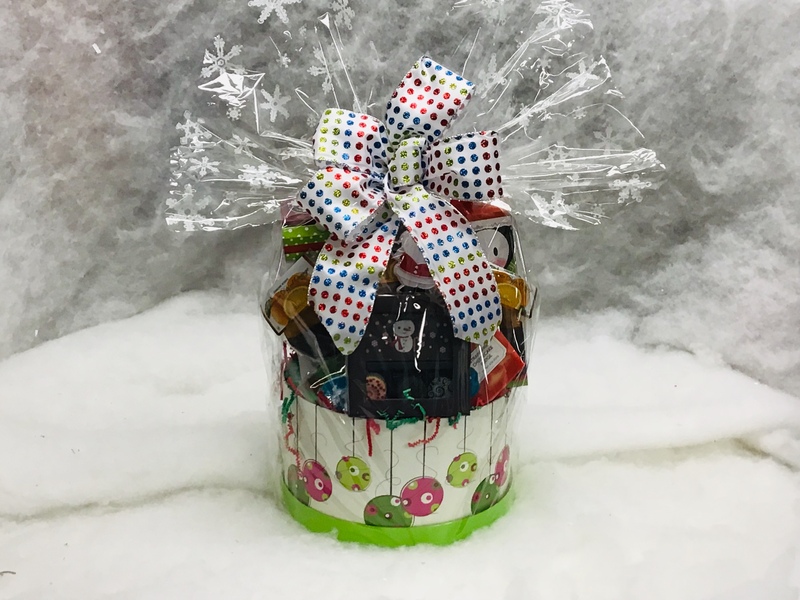 Filled to the top with cheddar popcorn and two popcorn containers, Nestle Crunch, Good & Plenty, Goobers, Dots, Butterfinger, Chocolate Raisins, and M & M's, who could ask for more? 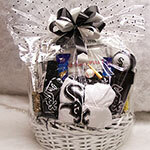 This basket was made for a raffle and they wanted all items that are White Sox related which included pants and shirt, car travel mug, bottle cooler, license plate frame, White Sox peanuts, popcorn, cracker jacks, key chain, pretzels, baseball, cookies, cheese straws, and of course beer. 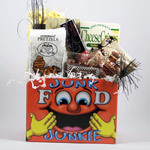 What Junk Food Junkie wouldn't love these treats! 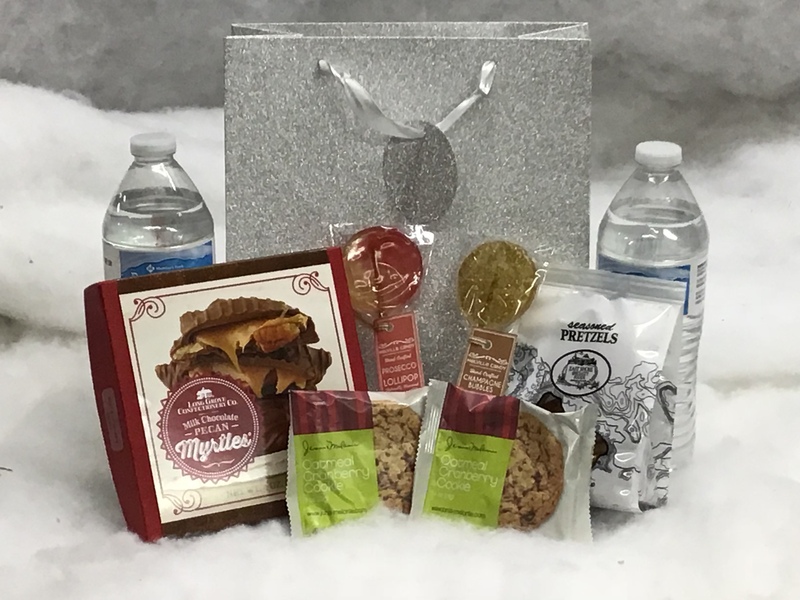 Yummie chocolate chip cookies, cheddar cheese popcorn, crunchy baked potato thins, seasoned pretzels, snack mix, cheese sticks, chocolate candy bar & large malt balls.